If you are ready to join the Wadia Dental Group family of satisfied family and cosmetic dentistry patients, we invite you to contact our Escondido team to schedule an initial dental examination. Fill out the form below or call us at 760.747.4338 to request your appointment. During your initial dental examination, Dr. Wadia and our team will inspect the health of your teeth, gums, and your jaw. This examination will begin with a series of X-rays designed to give Dr. Junia Wadia a complete look at the underlying structures of your jaw and teeth. 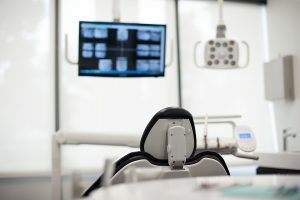 For patients returning to Wadia Dental Group for a six-month examination, X-rays will not be necessary unless required for a new issue like a broken or infected tooth. The final portion of your general dentistry visit to Wadia Dental Group will be a thorough cleaning of your teeth and gums. A member of our hygiene team will gently yet thoroughly clean your teeth and gums, finishing the procedure with a polish designed to highlight your healthy smile. At Wadia Dental Group, we understand that the cost of even basic dental care may be prohibitive for some patients in Escondido. However, we believe all patients should receive the dental treatment they need. We provide access to convenient financing and payment options. We also ensure that patients are aware of the cost of treatment before we begin a procedure, so patients will never be surprised by their bill.